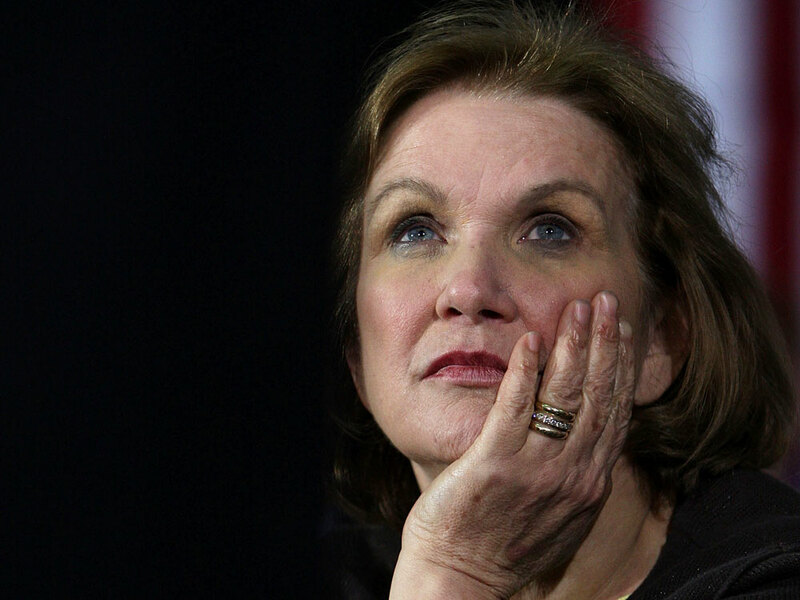 Elizabeth Edwards: Resilience Remembered Over the past few years, Edwards wrote two best-selling books, fought a well-publicized battle against cancer and saw her marriage crumble after her husband, former Democratic presidential candidate John Edwards, fathered a child with another woman. Edwards' candor won her both admirers and detractors, as she became more popular than her husband. Elizabeth Edwards, born in 1949 in Jacksonville, Fla., died Dec. 7, at her home in Chapel Hill, N.C., after battling cancer. She was 61. 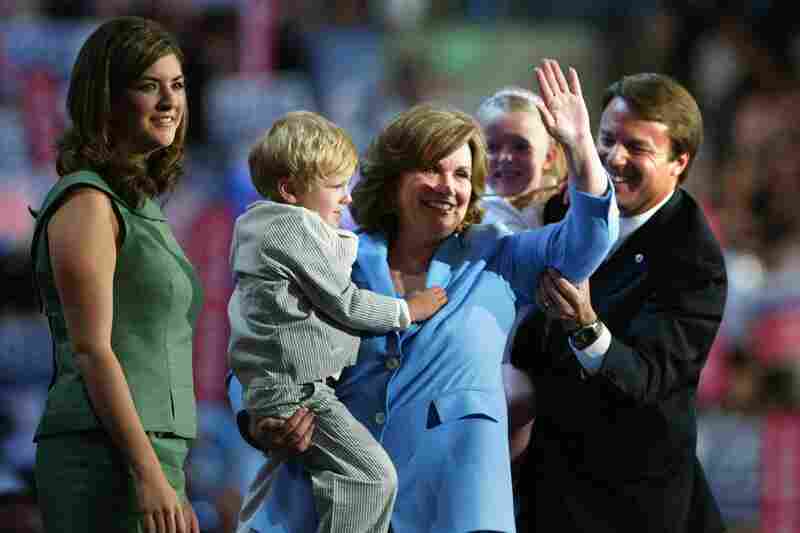 Here, she is seen with her daughter Cate, son Jack, daughter Emma, and her husband, Sen. John Edwards, while he was running for vice-president in 2004. Throughout her life, Edwards wrote publicly about her struggles, including the death of her teenage son, and her failed marriage to Sen. John Edwards. Here, she is greeted by the Democratic National Convention in Boston, in July 2004. 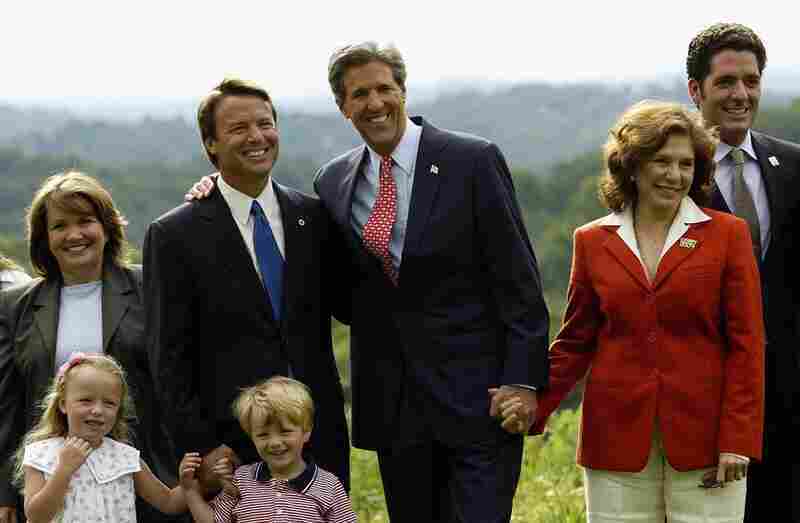 Edwards is seen in this 2004 photo with her family, as well as Democratic presidential candidate Sen. John Kerry, his wife, Teresa Heinz Kerry and their son, Chris Heinz. 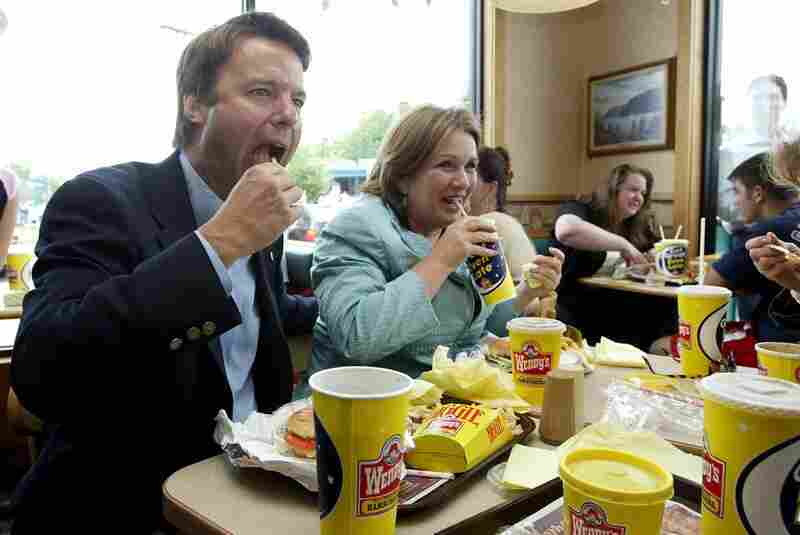 Edwards shares a 27th anniversary lunch with her husband John at a Wendy's restaurant in Newburgh, NY, during the 2004 "Believe in America" bus and train tour. Each year, the couple returned to Wendy's on their anniversary to remember their early days together. 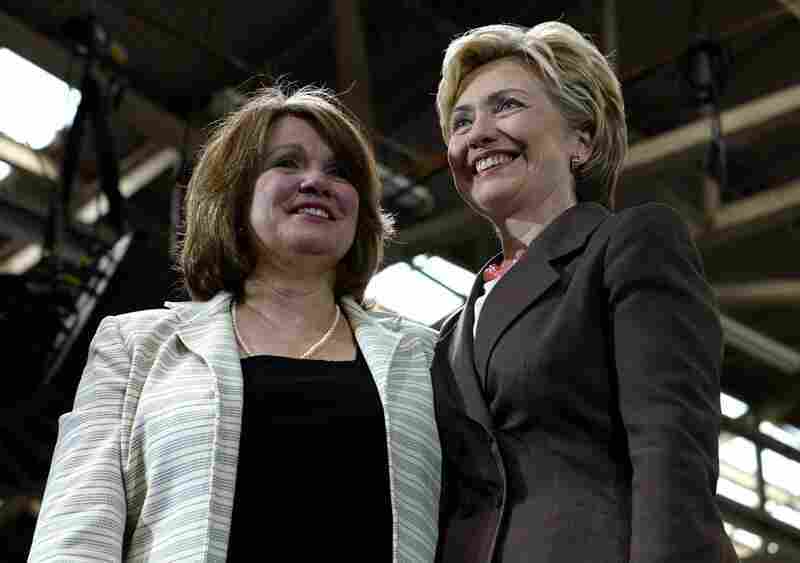 Edwards stands with Sen. Hillary Clinton during a Kerry/Edwards breakfast reception in New York in 2004. 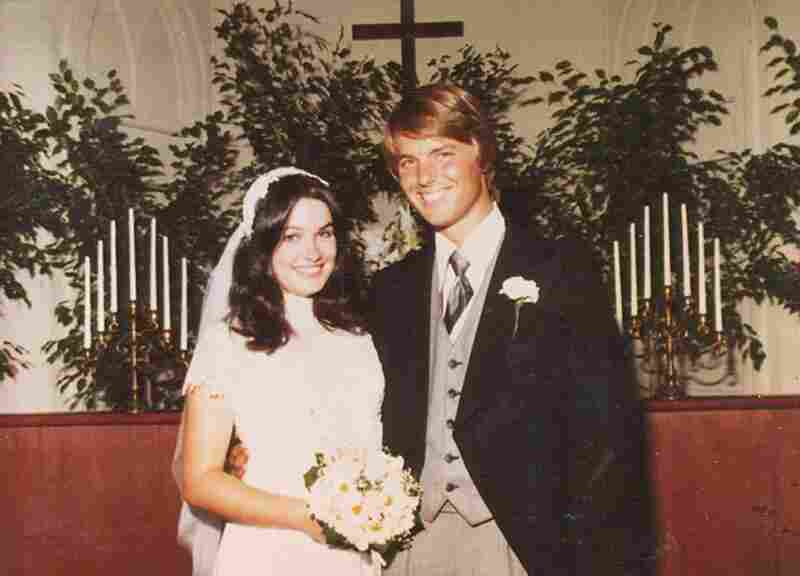 Elizabeth and John Edwards were married July 30, 1977. She used her maiden name of Elizabeth Anania until she retired from practicing law in 1996. John and Elizabeth met as law students at the University of North Carolina at Chapel Hill. Here, John kisses her good-bye as she departs for a fund-raiser for the South Carolina Democratic Party in Columbia, S.C. in 2007. Democratic presidential hopeful John Edwards hugs his wife Elizabeth while they speak about her recurrence of cancer during a news conference in Chapel Hill, N.C., in March 2007. 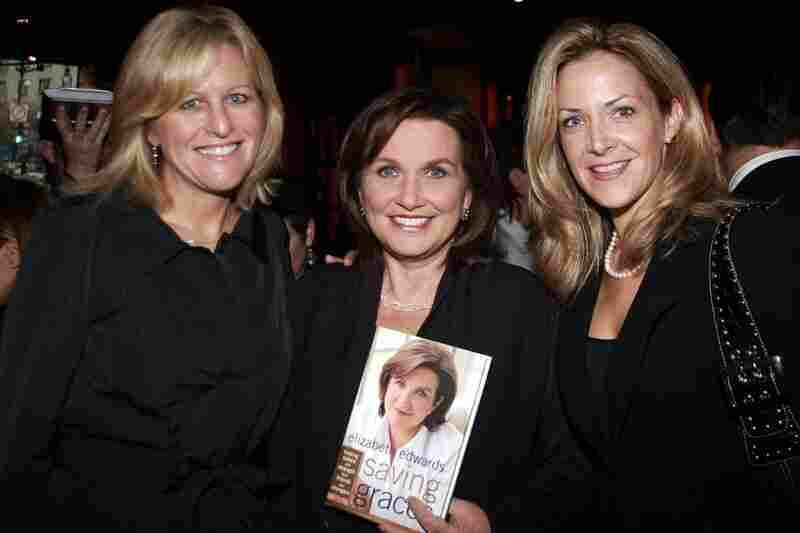 Edwards poses with Lori Burgess of Niche Media (left) and publisher Paige Bishop at the Capitol File celebration for Edwards' new book, Saving Graces, on Oct. 6, 2006, in Washington. Democratic presidential hopeful Sen. Barack Obama greets Elizabeth Edwards before the Des Moines Register debate in Johnston, Iowa, Dec. 13, 2007. Edwards is greeted by supporters before speaking at the official opening of the "Edwards for President" campaign headquarters in Des Moines on April 12, 2007. 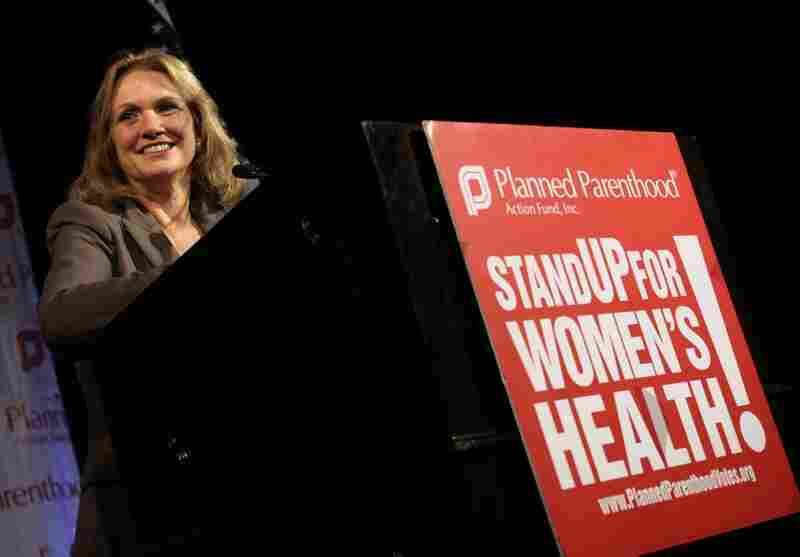 Edwards smiles during a speech at the Planned Parenthood Action Fund conference in Washington, on July, 17, 2007. Edwards hugs son Jack onstage after he was too embarrassed to talk in Ames, Iowa, Jan. 1, 2008. New Jersey Gov. 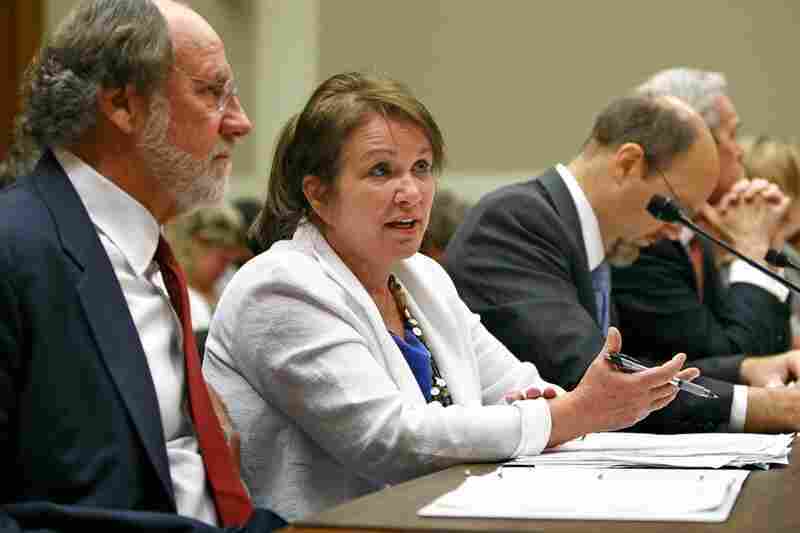 Jon Corzine and Edwards talk before testifying in Washington, D.C., about health care reform, Sept. 18, 2008. 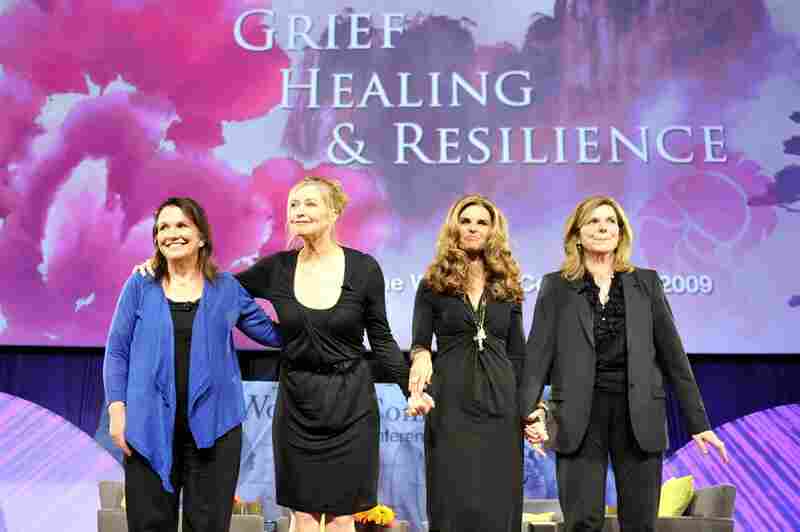 Edwards, Lisa Niemi, Maria Shriver and Susan Saint James participate in a panel discussion at the 2009 Women's Conference on October 27, 2009, in Long Beach, Calif.
Elizabeth Edwards was a senior fellow at the Center for American Progress. Here, she speaks with fellow witness Kerry Burns prior to testifying on medical debt and bankruptcy on Capitol Hill in Washington, D.C., on Oct. 20, 2009. Edwards spoke openly about having cancer, and after her husband confessed to an affair, she went on the talk-show circuit. Here she arrives at the Stand Up To Cancer event held at Sony Pictures Studios on Sept. 10 in Culver City, Calif.
"Resilience is accepting your new reality, even if it's less good than the one you had before," said Edwards. Here, she watches her husband speak to voters at a town hall style meeting in Davenport, Iowa, in December 2007. 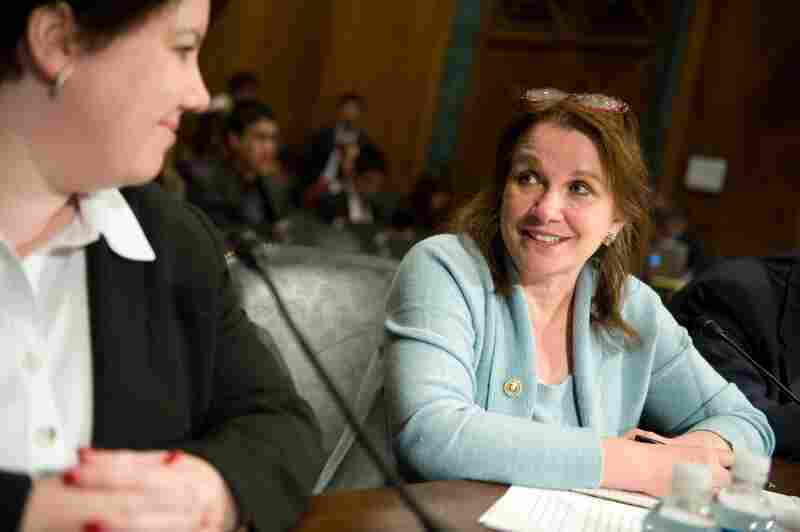 Elizabeth Edwards, who catapulted into the public eye in 2004 when her husband, Sen. John Edwards, ran for president on the Democratic ticket, is being remembered for her fortitude and grace. Over the past few years, Edwards wrote two best-selling books, fought a well-publicized battle against cancer and saw her marriage crumble after her husband fathered a child with another woman. Edwards died Tuesday at age 61. "Many others would have turned inward; many others in the face of such adversity would have given up," President Obama said in a statement. "But through all that she endured, Elizabeth revealed a kind of fortitude and grace that will long remain a source of inspiration." Secretary of State Hillary Clinton, one of John Edwards' rivals for the Democratic nomination in 2008, said, "America has lost a passionate advocate for building a more humane and just society, for reforming our health care system, and for finding a cure for cancer once and for all." Vice President Joe Biden called her "an inspiration to all who knew her." A public figure to the end, Edwards said goodbye to her network of supporters the day before, online, after doctors had concluded they could do no more to save her. They figured she might have weeks at best; she lived hours. John Edwards, the man she had advised as a strategist and supported as a spouse through a Senate campaign and two runs for the presidency, joined the family by her side. The couple had separated about a year ago. David "Mudcat" Saunders, a political adviser and friend of the family, said Elizabeth Edwards' health rapidly deteriorated over the last few weeks. During that period, her estranged husband and their adult daughter, Cate, came to be with her, Saunders said. 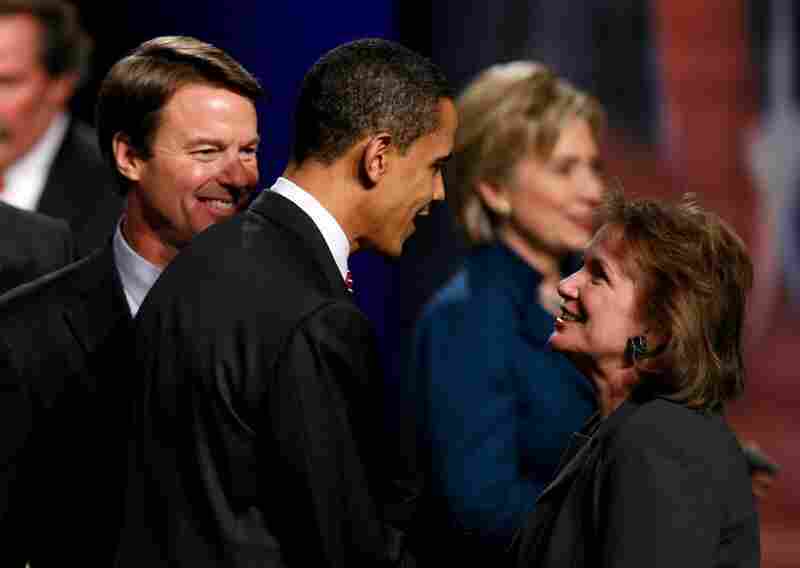 Elizabeth Edwards, the wife of former presidential candidate John Edwards, died Tuesday. She was 61. Even for a public figure, Edwards led an extraordinarily public life. Not only did she do the things most political spouses do -- the fundraisers and the luncheon speeches and the campaign rallies -- but she also allowed the country to share her personal struggles. She wrote candidly about the death of her teenage son. She spoke openly about having cancer -- even holding a news conference with her doctor to announce her diagnosis. And after her husband confessed to an affair, she went on the talk-show circuit, explaining in a 2009 NPR interview that she hoped to help others by talking about her pain. "One of the reasons that I sort of tried to share that with people is I wanted maybe to open the eyes of people who haven't been through the experience and maybe feel tempted to say, 'This is what you're doing to the person you love,' " she said. " 'This is the private hell you’re going to send them into if they do discover the ways in which you have betrayed them.' "
Edwards' candor won her both admirers and detractors, as she became more popular than her husband. It was perhaps an unlikely destiny for a woman who had a middle-class upbringing and lived her first 50 years relatively quietly as a lawyer, homemaker and mother. "She has lived a life that many women can identify with," said Ed Turlington, John Edwards' campaign chairman and longtime family friend. "She's been a working mom; she's been a daughter caring for elderly parents; she comes from a military family. "I think on issues that Elizabeth has been involved with, she could have a real impact." 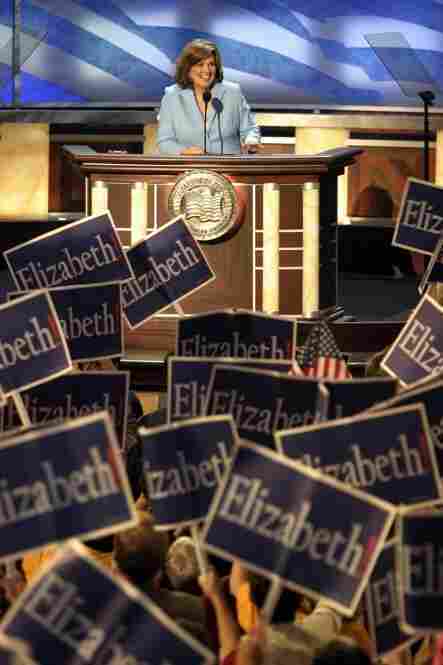 Indeed, by the time John Edwards ran for president the second time -- in 2008 -- Elizabeth had become a major political figure in her own right. She had written the first of her best-selling books, was attracting big crowds on the lecture circuit and helped shape her husband's platform, pushing him to the left on such issues as universal health care and the Iraq War. Admittedly strong-willed, she was seen as overbearing by some campaign staffers. But she was unapologetic. "One of the things that I think you see sometimes in politics is a certain degree of caution," she said. "It's usually advised by consultants who don’t want to see you march to the end of a limb. "But we're now at a point where we need actual answers, and not worry about whether or not we're standing really close to the trunk on these." Edwards' increased political activism coincided with a downturn in her health. Though she was first diagnosed with cancer in 2004 -- the day after the general election -- it was believed to be in remission. But in 2007, three months into her husband's second presidential campaign, she learned the disease had returned in a more ominous form. At a 2007 news conference at the same hotel that hosted their wedding reception 30 years earlier, the couple announced that Elizabeth's cancer had recurred and was considered incurable. While her doctor laid out an uncertain prognosis, Elizabeth Edwards said they were pushing on with the campaign. "Is this a hardship for us? Yes, it's yet another hurdle. But I've seen people who are in real desperate shape who don't have the wonderful support that I have," she said. "And it's unbelievably important that we get this election right." Though Elizabeth Edwards was back shaking hands with voters a few days later, little else went right in that campaign. By the time Barack Obama was elected president in 2008, John Edwards' career and reputation had imploded in a stunning political scandal. It turned out that even while Elizabeth was coping with her terminal disease, her husband was carrying on an affair with a campaign worker, fathering the woman's child and partaking in an elaborate scheme to keep it secret. Yet even as the truth dribbled out and the couple's marriage unraveled, Elizabeth didn't step back from the public eye. And in that 2009 NPR interview, after she released her second book, called Resilience, she said she was focused on the future. "Resilience is accepting your new reality, even if it's less good than the one you had before," she said. "You can fight it, you can do nothing but scream about what you've lost, or you can accept that and try to put together something that's good." In Resilience, Elizabeth Edwards contemplated her own death, writing that it didn't seem as frightening to her since she lost her oldest son. Reflecting on how she wants to remembered, she repeated one of her favorite metaphors. She wrote that at times, the wind didn't blow her way, but she said she was still able to stand in the storm, adjust her sails and move forward.